Mutual Legal Assistance Treaties (MLAT’s) generally require nations to share information and evidence in criminal proceedings. The United States has entered into such agreements with more than 60 foreign nations. An MLAT request normally target crimes such as money laundering, drug trafficking, and similar offenses. In the United States, the Department of Justice communicates with other governments to obtain information and evidence pursuant to an MLAT. The binding obligations MLAT’s create can mean one nation may have to summon witnesses, locate persons, force the production of documents or evidence, request bank records, issue warrants, or take similar actions. MLAT’s also allow the United States government to obtain depositions from witnesses in foreign countries who would otherwise not be available. MLAT’s do have limitations. Assistance is typically denied if the request for information or evidence deals with a political offense. Most MLAT’s also allow a nation to decline a request if it believes that doing so would negatively impact its security or essential interests. 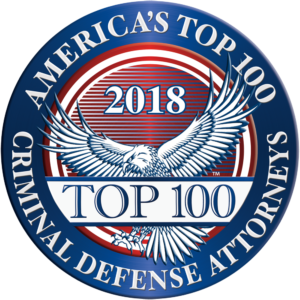 It is important to note that MLAT’s generally do not afford defendants the same opportunities to gather evidence that are granted to law enforcement. This is because MLAT’s were created as a tool for law enforcement and not meant to benefit the defendant. This creates a significant imbalance in the power to obtain evidence. For instance, a foreign government may be compelled to summon a witness requested by an American prosecutor, but the MLAT does not require the foreign government to summon a witness requested by the defendant. A defendant who wishes to obtain evidence or information from a foreign government related to criminal proceedings must usually do so through letters rogatory. Letters rogatory are not nearly as effective as MLAT’s. Letters rogatory are normally sent through public channels and any confidential information is at risk of being leaked. Cooperation under MLAT’s is generally mandatory whereas cooperation with a letter rogatory is simply up to the discretion of the foreign country. Requests under MLAT’s also generally receive a much swifter response than letters rogatory. In addition, evidence gathered under MLAT’s tends to have a higher likelihood of being admissible in court than evidence obtained through other means. However, MLAT’s may benefit defendants in some cases. For instance, a defendant may ask a prosecutor to obtain evidence from a foreign government through an MLAT. Of course, the decision of a prosecutor to request evidence on behalf of a defendant is entirely discretionary. Courts typically lack the power to force a prosecutor to request information under MLATs. The grave imbalance of power in obtaining evidence abroad requires a criminal defense attorney to have a working knowledge of international criminal law and foreign relations. A defense attorney also needs to be able to negotiate with prosecutors and foreign officials to obtain the evidence necessary to zealously defend his client in court. Our firm has successfully represented clients involved in international investigations. We have also helped clients resolve international criminal prosecutions before any arrests were made. The information provided above is a very general summary of the law of mutual legal assistance treaties at the time this text was prepared. Because this analysis is subject to change depending upon recent cases and legal developments, you should not rely on this summary as legal advice. As with any important legal question, you should always consult a lawyer licensed to practice in your jurisdiction. Our lawyers are licensed to practice in all state and federal courts in Georgia and have been admitted to practice in many other federal district courts.